It's the day before Halloween, Devils' Night! 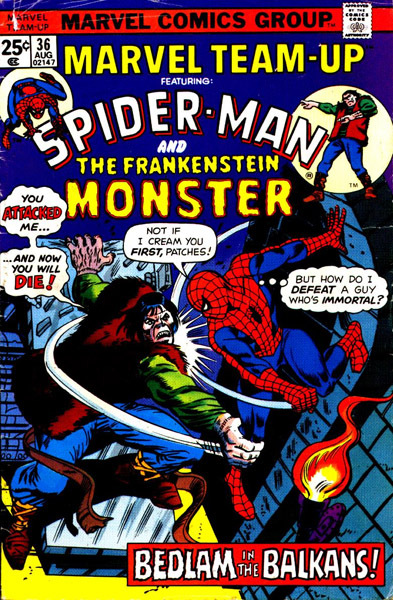 And we have a treat for you courtesy of Siskoid and Cory Drew - Spider-Man and Frankenstein's Monster (with some pinch hitting from Man-Wolf), from Marvel Team-Up #36-37 (1975). 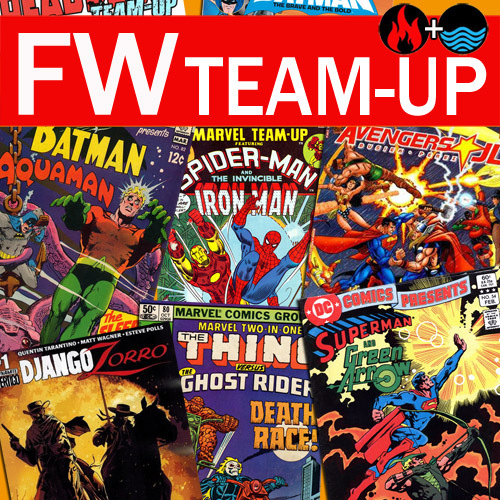 It's a team-up perfect for the season! Definitely in the "treat" department. 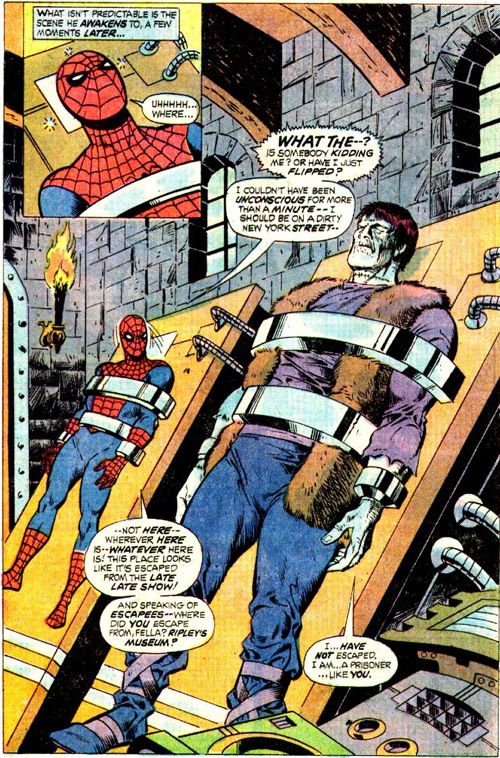 Listen to the Spider-Man/Frankenstein's Monster FW Team-Up by clicking HERE! 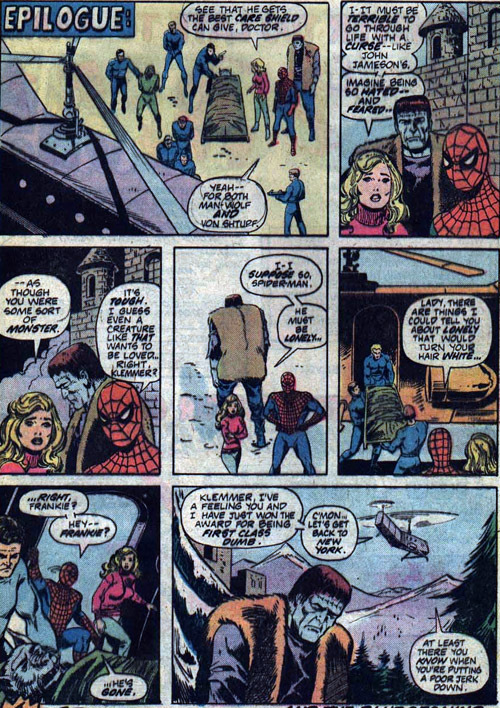 Things get Gothic, and our heroes meet, but not in the best of circumstances. And Man-Wolf completes the trick-or-treating posse! 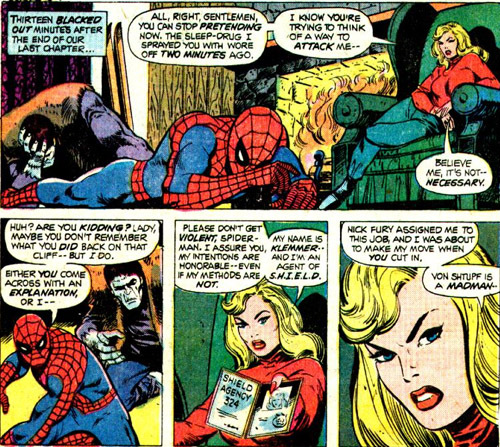 The double-entendres trip off the tongue in the panel we dared not discuss. 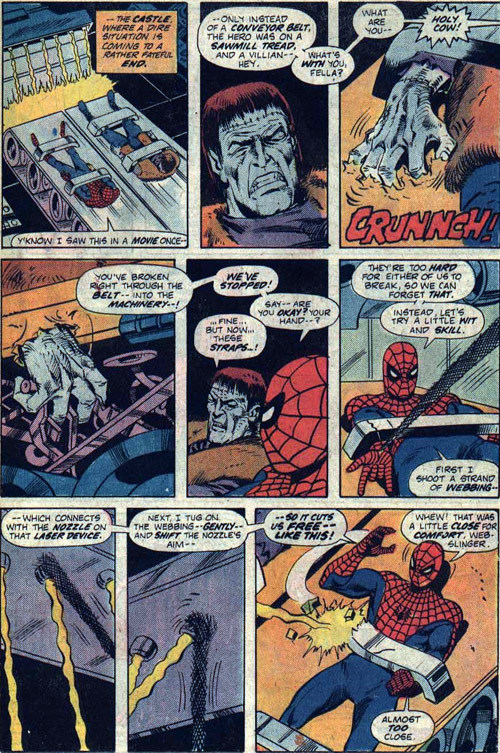 Frank and Spidey almost lose their hands. The Monster Maker, defeated (at birth, if you ask me). 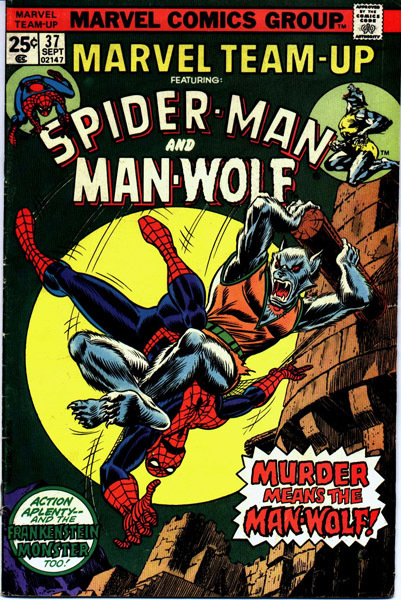 Spider-Man must save Man-Wolf (no brainer, dude!). 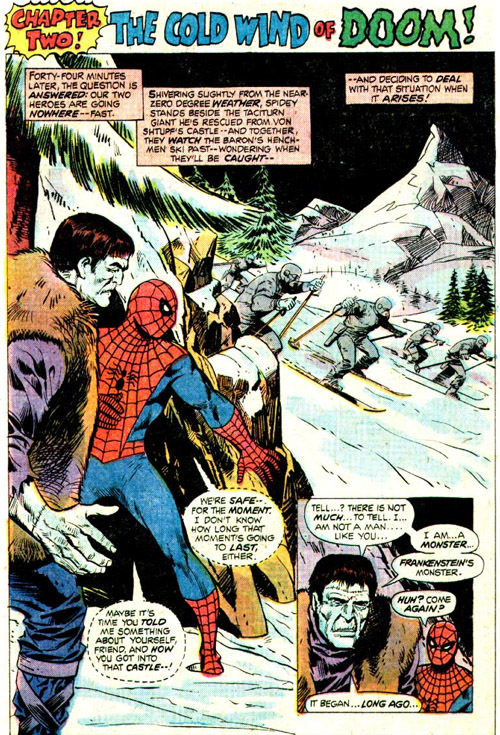 Bonus clips from: 1931 "Frankenstein Theme" by Bernhard Kaun; "The Monster Mash" by Bobby Pickett; "The Lonely Man Theme" from The Incredible Hulk, by Joe Harnell; "I'm Tired" by Madeline Kahn, from "Blazing Saddles"; 1994 "Frankenstein Theme" by Patrick Doyle; and "Frankenstein" by James Whale, starring Colin Clive. 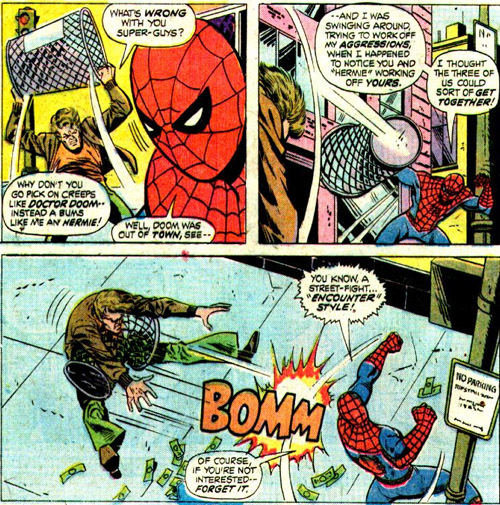 Poor Frankie....and Jameson. Luckily things get better for him, not sure about Frankie though. 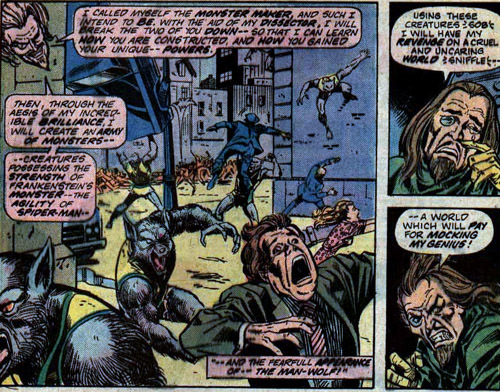 Didn't he wind up joining SHIELD's Howling Commandos later on though? No kidding about that double-entendre. I know a friend on Twitter who'll just love that one. 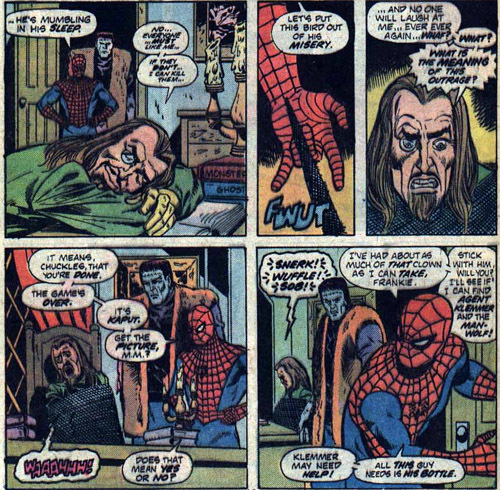 Comics Out Of Context will have a field day.